We are a Bexhill based construction company specialising in loft conversions, new builds, extensions, refurbishments, and we carry out work all over the South East. We have been established for more than 10 years, are fully insured, and have all of the necessary qualifications. We pride ourselves on our professional, and considerate approach to every project, small or large. 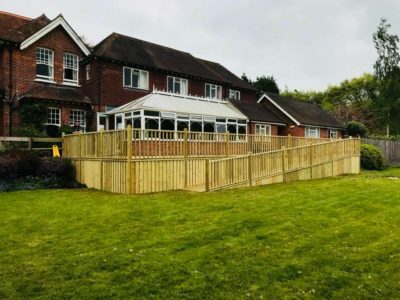 Here at Mepham & Wood carpentry & Construction we understand the importance of considerate and reliable tradesmen, our aim is to make your project as comfortable and as stress free as possible which is why we go the extra mile not only with our workmanship but also with customer relations and their return custom speaks volumes to us. You can put your trust in us to deliver the highest standards of craftsmanship to any project we undertake, we believe that the only way to do great work is to do something you love and we do just that. From day one we approach every aspect of our job with one goal in mind and that is to maintain our high standards which have gained us our reputation. Over the last decade we have formed a team of trusted tradesman with all of the necessary qualifications who we know and trust to deliver the right job on a timescale that suits your project. We have a very transparent style of working with a uniformed vision of a finished contract that we can be proud of and you will be happy with. Mepham & Wood Carpentry & Construction come together with our network of architects to bring your designs to life, we work side by side with our clients from design to completion to ensure you are getting the job you dreamed of. We have had Solid Oak flooring laid through out, oak doors hung, new skirting’s & architrave fitted as well as Mepham & Wood Carpentry correcting the appalling work we had done by anther company on our new kitchen. Very friendly & clean service, highly recommend. I am delighted with our new bedroom and wholeheartedly recommend Mepham & Wood Carpentry for your building project! Decking Project Huge decking project finished today at a care home to provide a safe outside space for residents and relatives to enjoy! We have been established for more than 10 years, are fully insured, and have all of the necessary qualifications.